The joke isn’t funny after you’ve seen it five thousand times and it’s even less funny finding it happening in your store. I caught an attempt at this joke one night. 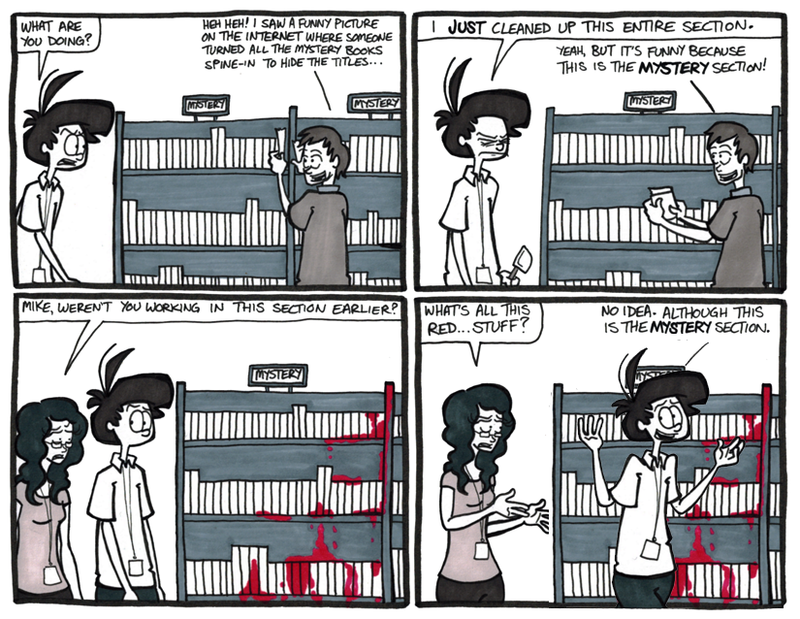 The perpetrator gave up or got bored after three shelves of turning the mystery section backwards. It doesn’t matter if they never got the whole thing finished, my blood was boiling. It’s a tough, uphill battle to make sales during these early months for retail establishments, taking any time away from me or a coworker to fix your joke is worth a swift kick in the nuts. Get out of my store you wannabe reddit meme copycat.